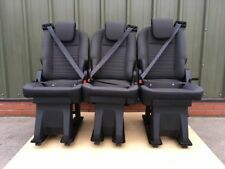 Fitted or removed in seconds, these will keep your van seats looking like new, protecting them against Stains, Mud, Food, Drink & Pets etc. EXTRA HEAVY DUTY Set of Van Seat Covers. VELCRO Openings to allow for Middle Seat belt on front Double Seat. 3rd row seats without Armrests. We take them out of the vehicle before we convert it. GM Coachwork are a specialist in wheelchair accessible vehicles and minibuses. Established for 30 years, ISO9001 and ISO14001 accredited. 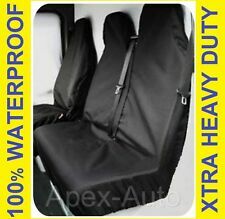 EXTRA HEAVY DUTY Set of Van Seat Covers. Constructed using HEAVY DUTY 800D Woven Oxford Material with a 100% Waterproof Rubberised Backing giving the added benefit. VELCRO Openings to allow for Middle Seat belt on front Double Seat. Digital Tachograph Rolls 2 Boxes (6 Rolls) TachPro. T achPro digital tachograph rolls are fully EU approved. Each digital tachograph roll is individually foil wrapped for complete protection. The paper is fully approved for use with all digital tachograph units. These kits are great for many uses, such as Vans / Boats / Caravans / Camper vans / Trailers / Lorries / HGV's / Horse boxes. This kit includes 10 LED Modules with a total of 30 super bright white LEDs. 4PC Ratchet Tie Down Strap Set Roof Rack Cargo Trailer Marquee 25mm x 4.5m 15ft Four pack of 1 inch (25mm) x 15 feet (4.5m) tie down ratchet straps set. Constructed from tough, durable materials with vinyl coated hooks and quick release lever. Textured rubber grip on handle. 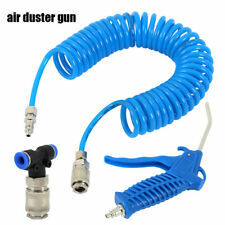 Suitable for Cars, Trucks, Vans and Trailers etc. Complies with EN 12195-2:2001. Packed in a plastic storage case with full colour artwork. (As per pictures shown). These van floor mats are tailored cut to suit the contours of your floor. 2007 to 2014. Van Mat Type. With hand-finished Black edging double thickness carpet heel-pad with anti-slip backing. Very Hard Wearing 450grm Nylon & polyurethane Black automotive carpet. 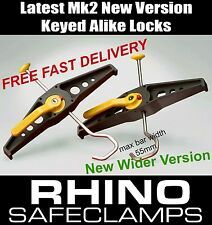 4MTR X 50MM RATCHET SET C/W CLAW HOOKS. High-tenacity polyester webbing - MBS 7.5 tonne. Double-locking ratchet and claw hook end fittings. 50mm width. Islands: HS1 - 9, IV40 - 51, IV55 - 56, KA27, KA28, KW15 - 17, PA20, PA34, PA41 - 48, PA60 - 78, PH42 - 44, ZE1 - 3. Size: 250cm x 2.5cm. A tie down is always a handy thing to keep around. It can secure your load in your vehicle safely and easily. It was built for functionality, ease of use and security for your ultra-heavy loads. 3ft TRAILER BOARD WITH 4M CABLE. WITH 4M CABLE. 3ft TRAILER BOARD. The ideal board for cycle carries that cover the number plate and lights, small trailers etc. 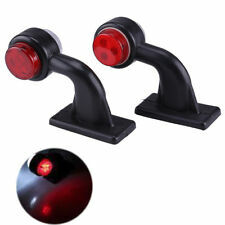 - Indicator lights. - Horse boxes. - Stop & tail lights. Galvanised Construction. A Galvanized jockey wheel complete with puncture proof tyre, or a bolt on spring clamp. Jockey Wheel. Main Shaft: 48mm (W) x 35cm (L). Puncture proof tyre. Bolt on split Clamp. For sale Dual Clip on Cup Holder. Fits 1 cup. Press holder as seen on photo. Drill holes in the corners of the flat mounting piece using smaller drill. 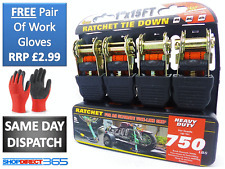 4 Pcweather-resistant, woven polyester ratchet tie down Set. The ratchet feature provides more tension with less effort. Professional ratchet strap tool. Ratchet tightening and quick release. Each strap is 1" wide x15' length approx (25mm x 4.6m ).